Take five iconic pieces, as championed by five legendary stars, for timeless look you'll love and wear forever. 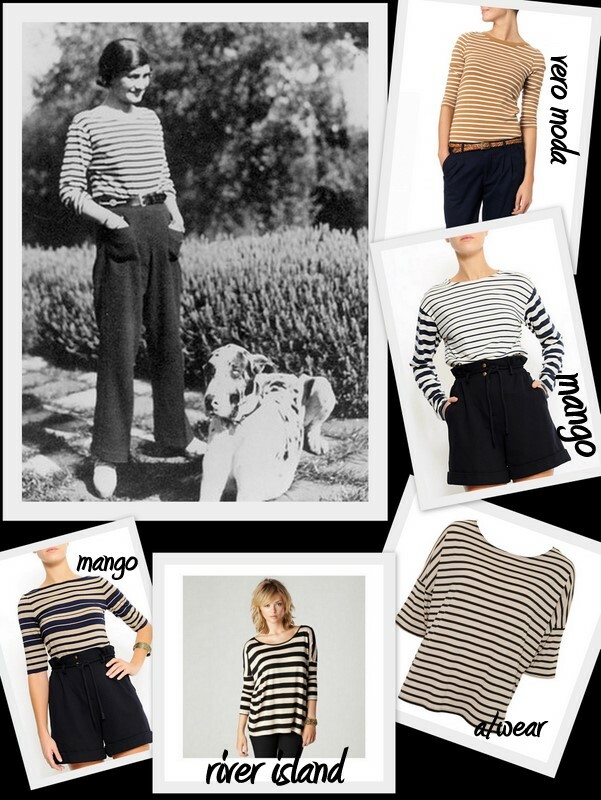 Boat-necked striped shirts were first worn by French sailors, then Coco Chanel, here at her house in La Pausa, France in 1930, introduced the sailor shirt to women in 1917. From Brigitte Bardot to Alexa Chung, fashionistas have consistently worn the Breton because it works just as well shredded jeans as with a posh necklace and its effortless chic is hard to beat. Take a mans shirt and belt it & you have one of the key shapes of last century.A full- skirted staple in the 40's and 50's, it was slimmed down and unbuttoned to more sensual proportions by the 60's. And never seems to go out of style. This classic outwear has long been a staple. First for military in the 1800's. All the biggest style icons new that trench was statement piece. Faded or deep indigo, slouchy or skinny, there's no doubt that denim is basic ingredient in every woman's wardrobe. But the one shape that's seems eternally in vogue is the flare. Dressed up or down this cut is flattering to any woman's shape. It was former ballerina Audrey Hepburn who first teamed ballet pump with jeans chic, but comfy day wear. Since Kate Moss reintroduced the look almost a decade ago, women worldwide have been rocking it. Loved every single piece, your right, these are all timeless pieces! Mangoooo! lovely post. I love all ballerinas! Want it!